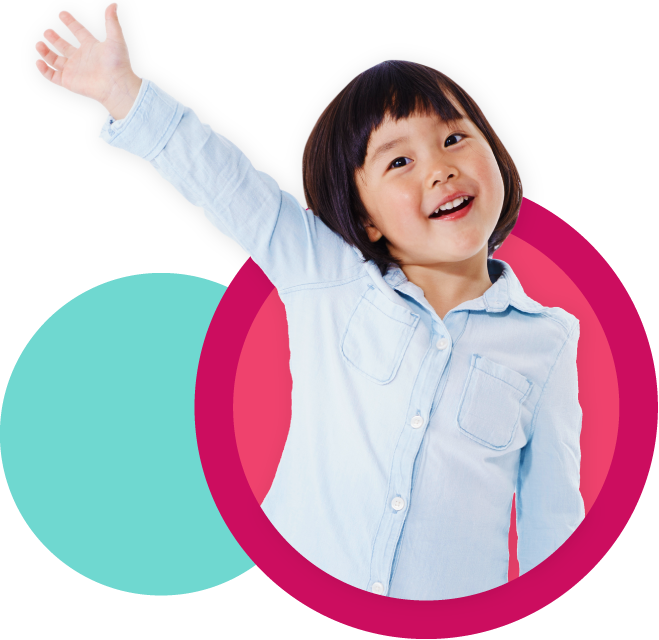 Looking for a way to talk with your child about warm weather? Heat up your day with these stories and warm weather activities! They focus on playing outdoors, cooling off in the water, and visiting relatives. Vivid illustrations show children playing in city and country settings. No matter where they live or travel to, children can relate to these stories. Quinito, Day and Night / Quinito dia y noche, by Ina Cumpiano. Illus. by José Ramírez. 2008. A young boy takes readers through his day while introducing his family in this bilingual book of opposites. Papi is neat, while Quinito’s brother is messy. The bright illustrations show the children enjoying a sunny day, reading with their grandparents, and playing in the park. Available in English and Spanish. Can be purchased as a hardcover and paperback. 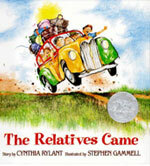 The Relatives Came, by Cynthia Rylant. Illus. by Stephen Gammell. 2001. Each summer, the relatives from Virginia come for a visit. For weeks and weeks, the family spends all their time together, and when the relatives return home, everyone dreams about next summer’s get-together. This story shares the love, laughter, and hugs in a large family reunion. 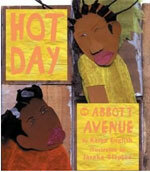 Hot Day on Abbott Avenue, by Karen English. Illus. by Javaka Steptoe. 2004. It is a hot, hot day when Kishi and Renée get mad at each other and stop being friends. Their neighbors come up with tasks to get the two girls to work together, but the girls won’t budge. Finally, jump rope rhymes and an ice cream truck save the day—and the friendship. Textured collage illustrations make these characters leap from the page. Available in English.Can be purchased as a hardcover and paperback. Miranda’s Beach Day, by Holly Keller. 2009. A mother and daughter spend a day at the beach watching seagulls, finding a crab, playing in the sand, and making new friends. When the day ends, the mother reassures her daughter that just as the crab belongs to the ocean, so the daughter belongs to her. In the illustrations of long shorelines and bright blue skies, readers can almost feel the hot sun and hear the crashing waves. Available in English. Can be purchased as a hardcover and paperback. Map it out. Grab a local or US map and mark where you will be enjoy your next family adventure. Is it a short trip to a neighboring town, a walk to the park, or an airplane flight across the country? For the local map, make icons or special markers for the types of places you can visit—nature preserves, museums, parks, swimming pools, a cousin’s house. For a US map, talk about where your family will travel and what mode of transportation you will use. Create a warm weather scene. Examine the illustrations in each book. Then join your child in making a warm weather scene using paint or collage. Pictures can show the city, the beach, the mountains, or any other location. Include favorite warm weather activities, seasonal foods, or special visitors. Source: Adapted from M. Dombrink-Greene, 2010, "Warm Weather Fun," Now Read This!, Teaching Young Children 3 (5): 3.